A representative from the Alzheimer's Response Team (ART) will be our keynote speaker. 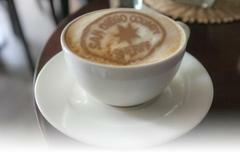 This is an opportunity to meet and engage with the San Diego County Sheriff's Department over a cup of coffee. Get to know the deputies who patrol your neighborhood. Let's work together to keep our community safe. For more information, contact Crime Prevention Specialist Monica Cordero at (619) 938-1364.